The education secretary’s new rules on student loans favor the predatory institutions that don’t provide good educations and blame the students who trusted them. When I read about what Education Secretary Betsy DeVos did last week on student loans, I thought back to all my visits to college campuses in the late nineties, dazzled by all the different lives I might lead after graduating high school. What indeed? Any counterargument comes across as philistine. But the administrator’s glibness belied how brutal student debt is. At the excessive levels that are now typical, it constricts your life—limiting your choices in where you work and live, and whether and when you marry and parent—because you sought an education in hopes of expanding your life. I opted for an in-state school, the University of Michigan, and worked constantly (unpaid internships, I hardly knew ye), but the tremendous education debt that I began building at age 18 would shadow me for the next 20 years. Still, it’s nothing compared to the perniciousness of for-profit colleges that exploit the dreams of students—often non-traditional ones, like veterans and older adults—by using them as vehicles to access federal loan money and delivering desperately little skill-building and job readiness in return. Then they leave the students holding the tab. In essence, what DeVos did last week affirmed that that’s a perfectly fine way to do business—and, indeed, the federal government will both subsidize and cover for these faux schools. Both draft and proposed changes show that DeVos’ Education Department is overturning years of work by the Obama Administration to counteract the worst impulses of predatory schools. One of the Obama-era regulations included a “borrower defense” rule where, if a school was shut down for fraud—as places like ITT Technical Institutes and Corinthian Colleges were—students could reach out to the Education Department, which would help compensate them for their lost tuition dollars or get their credits transferred to another college. Also, a “gainful employment” rule was set to eliminate federal loans to colleges whose graduates routinely aren’t able to earn enough money to pay them back, putting the onus on the schools to ensure that they were sending reliably employable people out into the world. And a disclosure policy would require for-profit schools to describe how—or if—their job placement record met federal standards in their promotional materials. But that was then. Now, after pushing pause on a number of these reforms, DeVos wants to eliminate the gainful employment rules entirely and also make it more difficult for defrauded students to seek debt relief. Her alternative plan suggests that predatory colleges aren’t to blame so much as the students who trusted them. In a draft version of the DeVos plan, which the New York Times obtained last week and is not yet a final proposal that’s up for public review, colleges would no longer be compelled to demonstrate that their students are able to get decent jobs. If the schools take advantage of students, they need not fear that they’d lose access to federal aid dollars. In other words, those schools lived in fear of closure if they didn’t educate their students properly. No longer. It’s a move that has surprised education observers, who suspected DeVos would reform the rule rather than scrap it. There is one promising reform: the DeVos plan would update the College Scorecard, a government website that was also developed in the Obama era. It already displays information about student debt burdens and average alumni incomes, and would be expanded to include more details about specific programs. But the Education Department also last week released its proposal for a new borrower defense rule, so that fewer borrowers who have been defrauded would be eligible for debt forgiveness. Students would also have to endure a stricter application process. They would need to show that they had been financially harmed by the college—and simply showing that they enrolled in a program or borrowed money to pay for it isn’t good enough. According to the Chronicle of Higher Education, “experts said the shift could make it nearly impossible for students to succeed in a borrower-defense claim, particularly as the department rolls back efforts to investigate predatory behavior.” The rule is now in its 30-day public comment period. These actions have won praise DeVos among those who believe the Obama-era regulations unfairly targeted for-profit schools and were designed to destroy them. Notably, one of DeVos’ key advisors is Diane Auer Jones, who used to run a for-profit education company that operates places like Colorado Technical University and American InterContinental University. In that role, Jones lobbied against funding the gainful employment regulations. She has not recused herself from advising DeVos on issues involving the company. The stakes are high. For-profit schools, according to the Chicago Tribune, had as many as two million students in 2010, with seniors, women, and people of color aggressively recruited. Veterans, and their GI Bill tuition dollars, were also pursued. But the patchy educational record of these schools generated lawsuits, federal hearings, and tens of thousands of complaints. That’s taken a toll on enrollment, and put the pressure on these schools to get what they can get, while they can get it. Even with the friendlier inclinations of the new administration—under a president who was the face of the for-profit Trump University, no less, which settled a $25 million lawsuit with defrauded students—the sector has reportedly struggled to keep up its student rolls as the economy has improved. “What’s more important than your education?” Well, before signing on the strivers and seekers for what may turn into decades of veritable indentured servitude, it’s worth being sure that institutions that promise an education actually have something to teach—beyond a cynical awakening to a profits-over-people approach to the world. But that’s what DeVos is doing. She is taking her long-cherished philosophy of school choice so far as to welcome outright scams and cheats in our education system. In fact, her department is fighting to give these dodgy profiteers more protection than the students who thought they were legitimate schools. 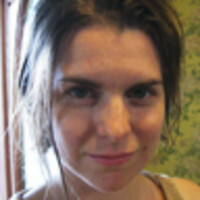 Anna Clark is a journalist in Detroit and the author of The Poisoned City: Flint’s Water and the American Urban Tragedy.